Rail service along the coastal corridor between Oceanside and San Diego will be unavailable this weekend because of construction on two projects, according to the North County Transit District. 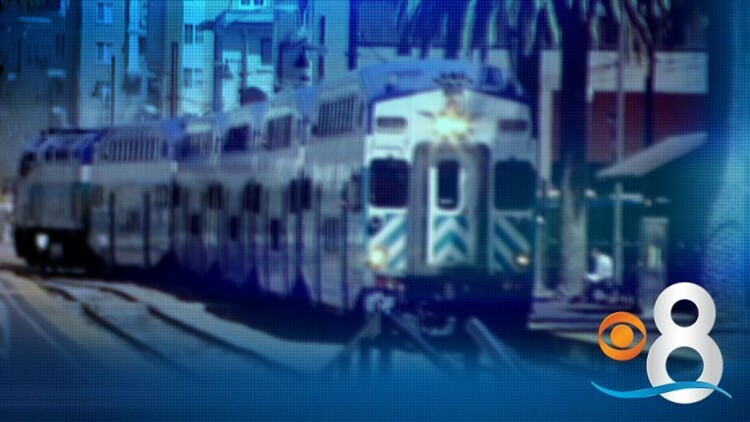 SAN DIEGO (CNS) - Rail service along the coastal corridor between Oceanside and San Diego will be unavailable this weekend because of construction on two projects, according to the North County Transit District. The work means there will be no NCTD Coaster or Amtrak trains south of Oceanside on Saturday or Sunday. Regular service will resume in time for the Monday morning commute. Projects coordinated by the San Diego Association of Governments will replace aging wooden trestle railway bridges at the Los Penasquitos Lagoon, and add a crossover as part of work to add a second track in Rose Canyon. The NCTD said there will be no special bus service to replace the Coaster train, but passengers are welcome to ride the 101 bus route or a Metropolitan Transit System bus. Amtrak officials said three daily train runs will be canceled this weekend. Passengers on other Amtrak trains will be shuttled on buses between Oceanside and Solana Beach, Old Town and downtown San Diego.